What type of interior décor comes to mind when you combine a beautiful model/actress with a renowned film and commercial director? The image is a dynamic, sleek, contemporary styled concept with Feng-Shui properties based on neutral and aesthetic appeal. 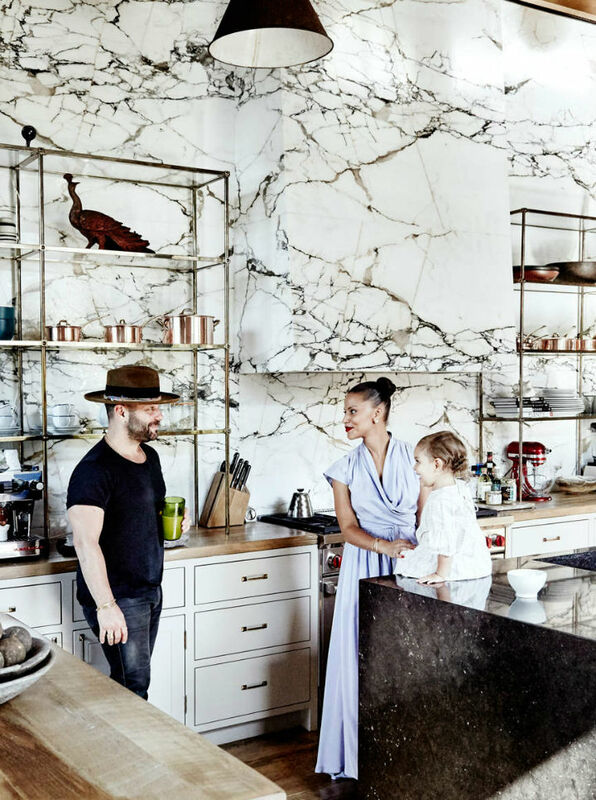 The home of Denise Vasi and her husband Anthony Mandler have designed their home in an industrialized modernistic tone. 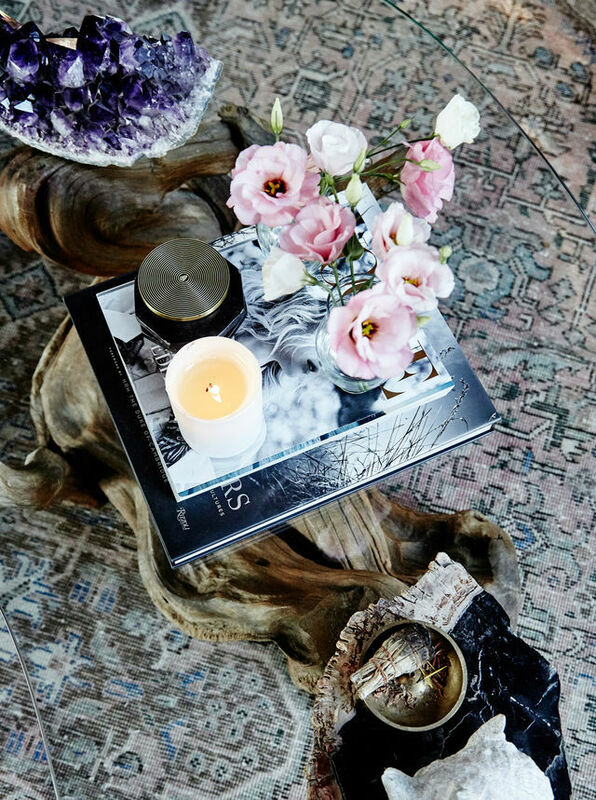 The overall mood is both tranquil and pleasing. 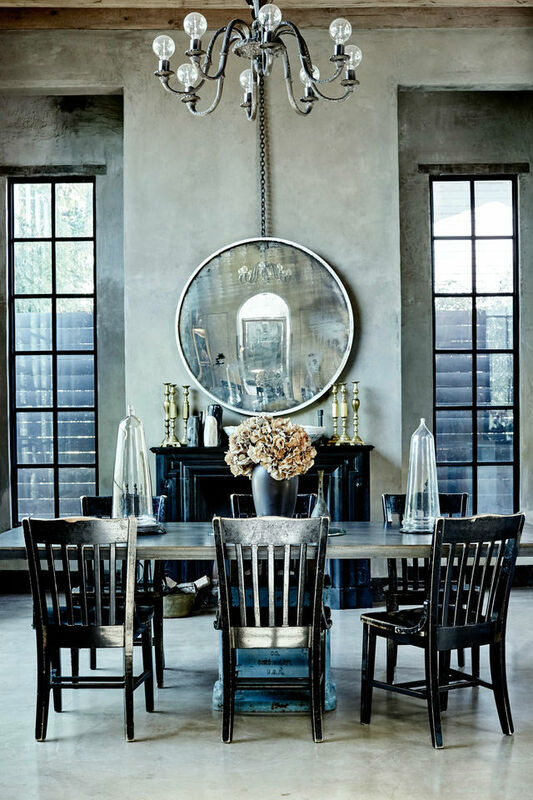 Pewter grey hues in a satin varnish with floor to ceiling French paned windows outsets the overall theme of the home. An elegant dining table with traditional wooden chairs combines a conventional appeal with a contemporary ambiance. 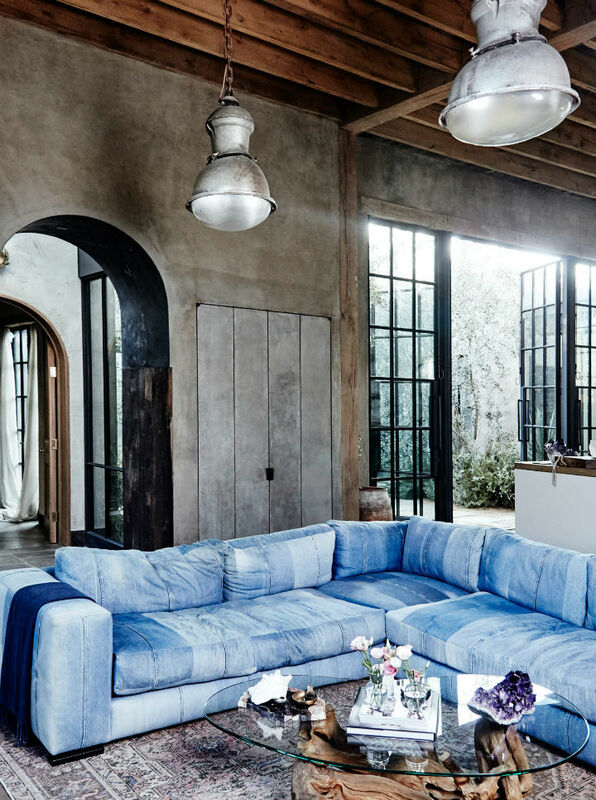 It appears the essence of this 21st century styled home’s attractiveness is “less is more.” This concept is taking the interior design industry by storm. Gone are the days when every space in a home is cluttered to make it appear complete. Great pieces that highlight the overall motif of a home’s layout is what makes it complete, and this home demonstrates this very concept to perfection. From a visual standpoint, this picture perfect home’s dimensions are broad and majestic. 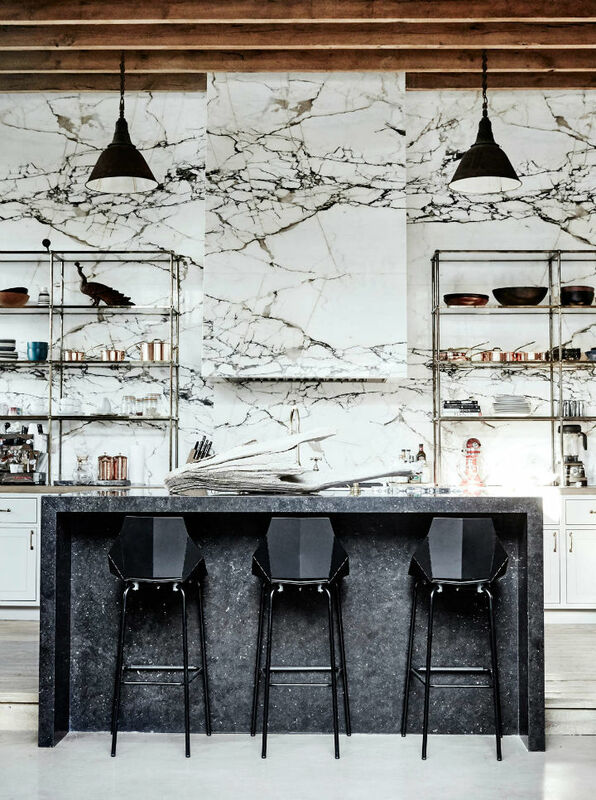 High ceilings with wooden planks, a kitchen backsplash created from black and white marble, an island table designed from glimmering stone, and bar stools in a geometric format come together wonderfully. 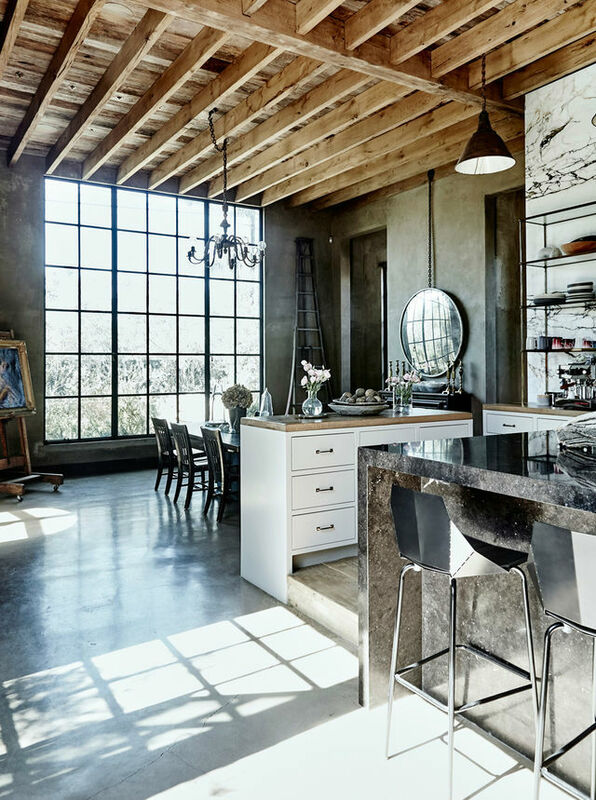 The kitchen design is impressive with simple cabinetry and wooden countertops. Glass shelves with brass frames together with natural accents like round balls made from stone and additional wooden accents complements the space and gives the room a broader appeal. 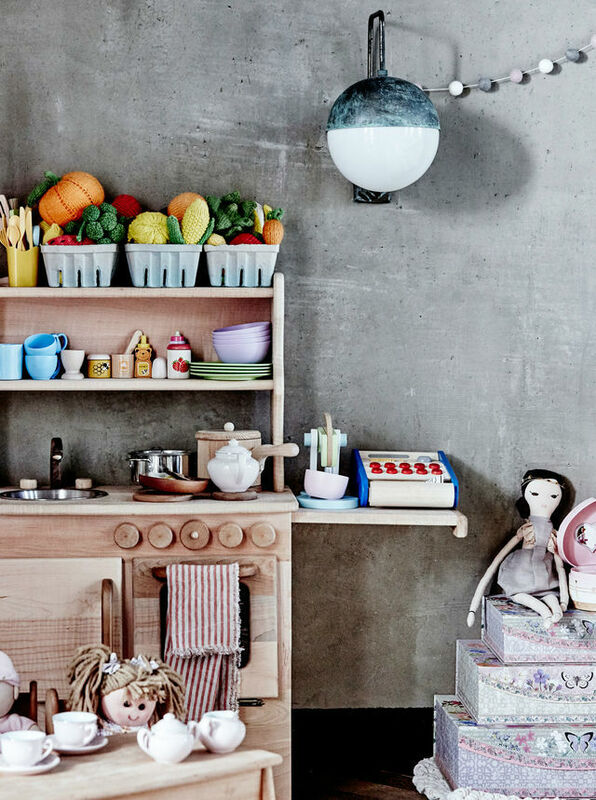 The daughter’s room is purposely designed from natural materials. All materials are created from solid woods and/or organic fabrics void of any toxic fumes like VOC paints. 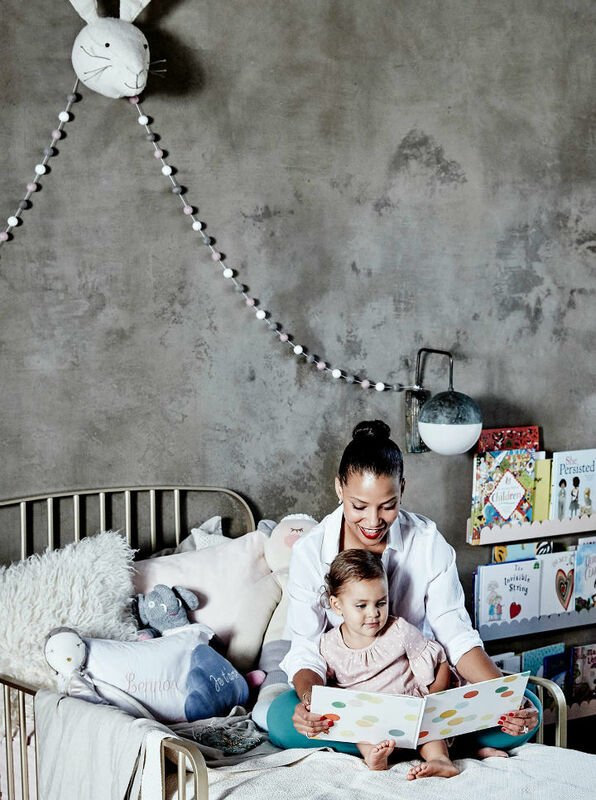 The eco-friendly space has just enough color to make it exciting to a little-one and practical enough to continue its appeal as the child gets older. 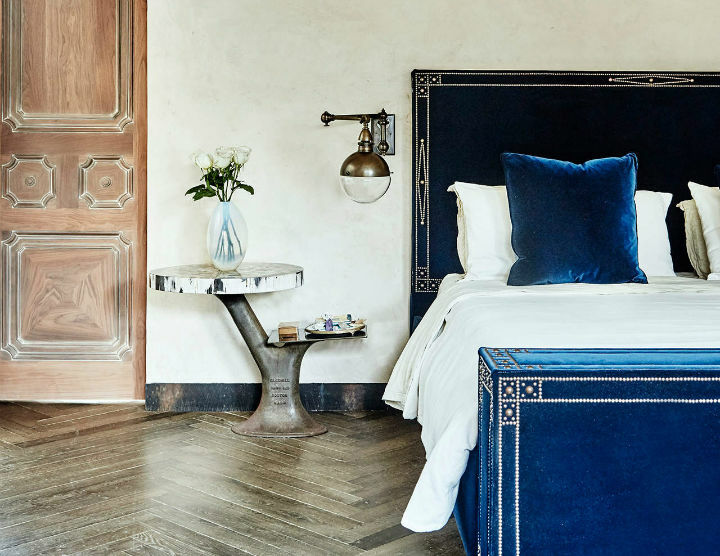 The adult bedroom has an old-world appeal with velvet fabrics and floor to ceiling doors engraved with geometric designs and herringbone floor. 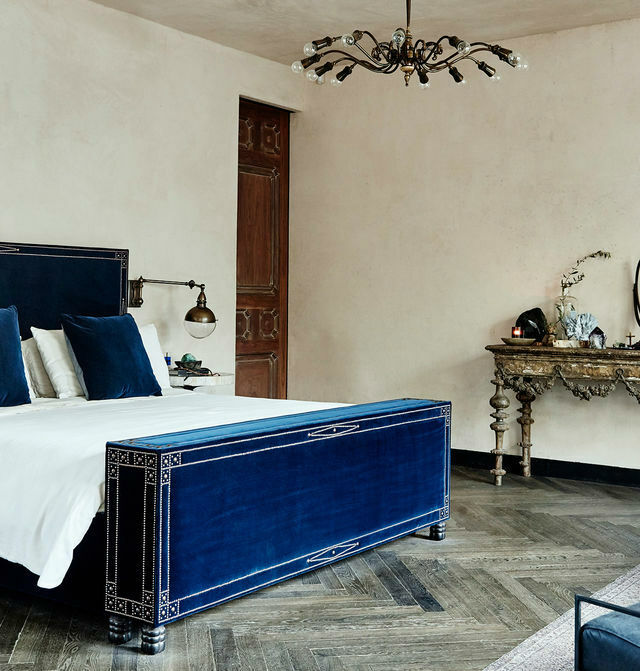 A distinctive nightstand and antique designed side-table all come together creating an antediluvian appearance that stays within the modernistic design throughout the residence. The living room area takes on a very casual concept. The modular denim sofa provides a homey relaxed feel. The denim blue hue is soothing and chic. Wooden paneled walls, a glass table, Asian influenced accent rug, and access to beauteous greenery is everything that makes a home more than a place to lay your head. It represents life and the artistry that comes along with it. The outdoor pool area adds to the overall relaxation and naturalness that this home embodies. In this abode, there are many chapters that beautifully correlate to produce one story-one theme, making it interestingly charming. It’s an homage to good taste in interior design touched by individualistic enhancements. This is quite a home, interesting details – but tranquil is not the word that comes to mind. Love this house! So unique. The dining room is my favorite. Also like the doors folding back to the outside.